So, I made it on to the coach with my very limited Spanish. 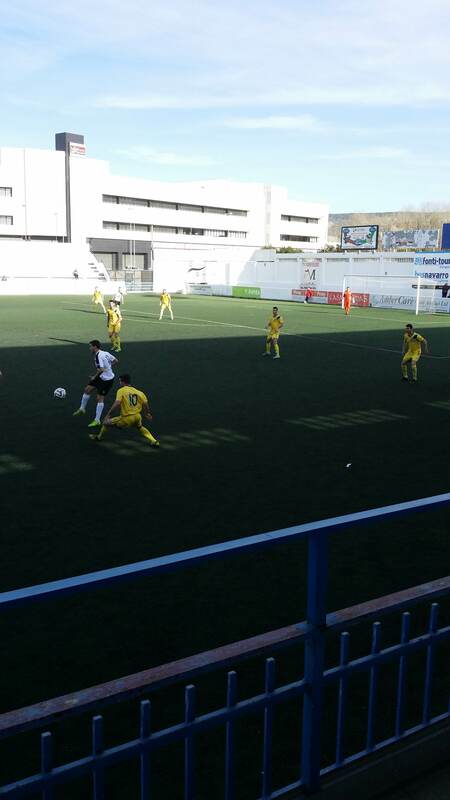 Yesterday I headed off to Ontinyent with the club I’ve just started working with as a commercial and PR guy. 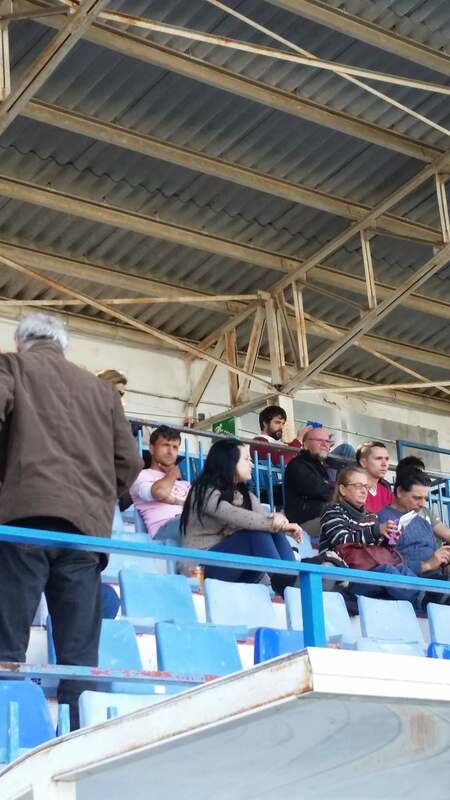 CD Torrevieja are my local professional club and, like many at the 4th tier level in Spain, have professionals on the technical side but volunteers running the club out of love for the game. Obviously, having moved here, I have offered my services – whatever they may be! Why did I want to get involved with my local side? Well, it is fairly simple really. As anyone who knows me knows, I love football and it has been pretty much all I have been interested in since the age of eight when I learned that liking football and being half decent in goal was a good way to avoid getting the usual playground treatment dished out to slightly awkward, geeky kids. Therefore, having moved to a part of the world that is paradise due to the success of the books I have written, I have plenty of free time to go with the enthusiasm I have for lower level football. It is real down here, none of the top tier privileges. TV money doesn’t exist, players regularly go months without being paid as clubs all across Spain struggle to make ends meet. The experience that I have had being a part of Real Oviedo and their supporters trust has changed my life and I vowed that if I had the chance to help another club, in whatever way was possible, then I would jump at it. 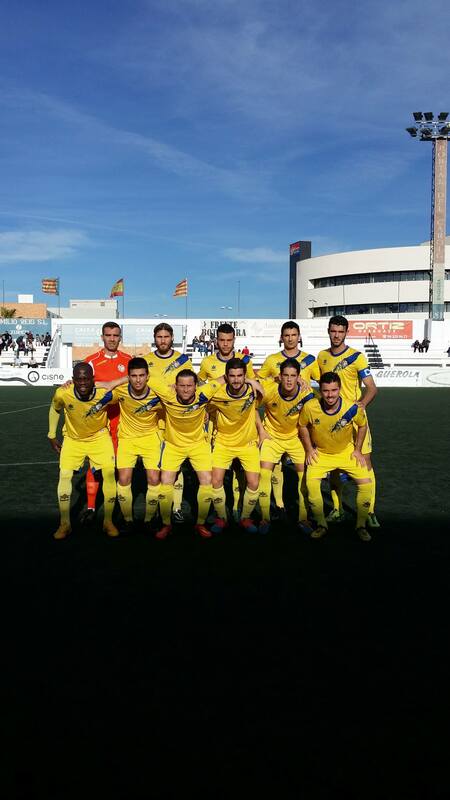 So what do I hope to do for CD Torrevieja, what are my aims? Well, I want us to be a club that people look at and go “yeah, they are a fantastic example of a small club that are run properly.” I want us to be self-sufficient, so we don’t have to rely on the deep pockets of our wonderful President to stay in existence. I want to help us be a club that not only the locals respect, but football fans across the world have an interest in. I hate to refer back to Real Oviedo as the situations are completely different, RO were on the verge of extinction, CD Torrevieja are not, but that experience showed me that football fans are a global community and that if we have something of interest to them down here on the Costa Blanca then they will get involved. Every penny counts at this level, and I hope to help us raise more pennies! The coach headed off to Ontinyent yesterday afternoon and made a couple of stops in Elche, the town of our local La Liga side with whom we have a formal affiliation. This is where Jeff Scott, our Vice-President and Treasurer, joined the journey and we spent the next six hours or so talking non-stop about the club, football in general and, post-match, the days events. Jeff has been with the club in various roles since 2008 and has survived 8 different presidential regimes, so will be critical in my efforts to boost our profile. Over our pre-match coffee I met the club President for the first time, a wonderfully warm man called Vicente Boix. Vicente is in his fifth season as President and the love and passion for the club oozed from him. Jeff introduced me and explained my connection with Real Oviedo, and Vicente dropped the bombshell that our strong, bearded centre back Alexis Egea was none other than the son of the current Oviedo manager, Sergio Egea. This revelation made me almost fall out of my chair, if there was ever a sign that I was meant to be involved at Torrevieja, this was it. The first half was disappointing, many misplaced passes from both sides and very little to entertain the crowd who found their main source of fun to be our manager, the passionate and animated Galiani. 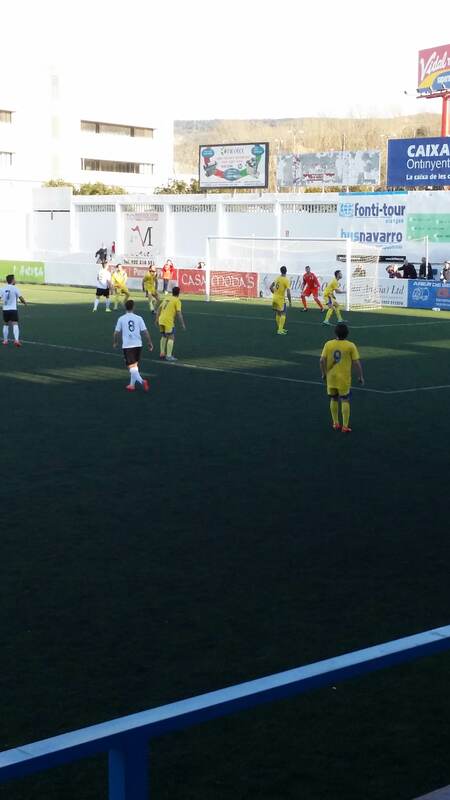 Ontinyent took the lead after about 13 minutes, a corner being headed home by someone standing completely free in the six yard box. Whatever Galiani said at half time made an impact, as did his swift substitution. Brani replaced the quiet Cesar, and the wide man on loan from Elche made an impact. He was busy, both with and without the ball and his work rate alone seemed to raise the players around him. 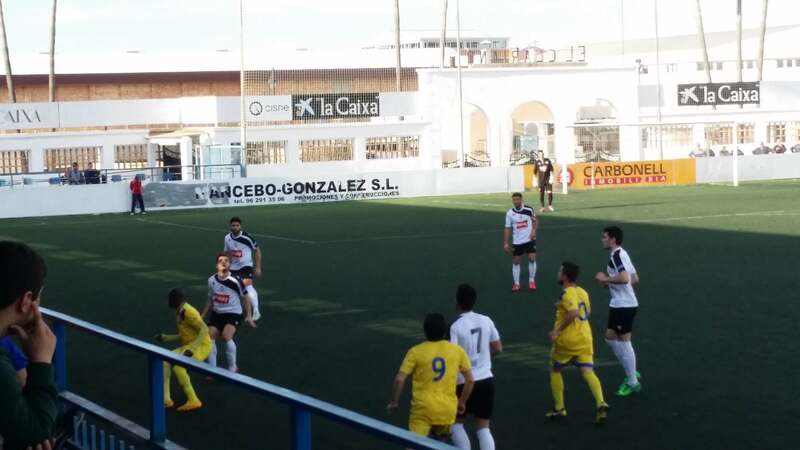 A sweeping cross field pass from Eddy found Brani on the right and his pace drew a foul from the Ontinyent left back, who by now realised he was going to have to earn his match fee. The resulting free kick from Adrian was poor, but it led to the corner from which Ruben arrived late and powered home a headed equaliser. You could feel the tension ease immediately, we hadn’t scored since January 11 and suddenly we looked like a threat from all over the pitch. In the 70th minute the ball fell to Obele in the penalty area and he swept home the second from eight yards. 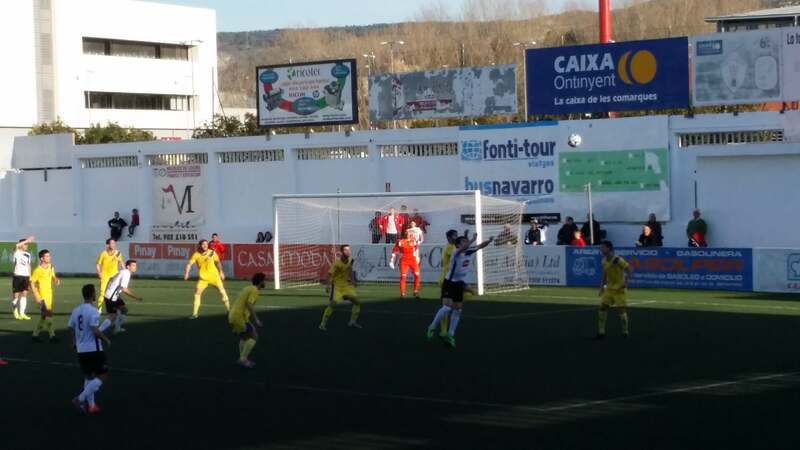 It looked like a rare home defeat for Ontinyent was on the cards, but there was to be another twist. Our skipper, Jorge, picked up two quick bookings leaving us to fight out the final fifteen minutes with ten men. Galiani switched us to the predictable 441 leaving Obele isolated up top and the pressure on the back line increased. With just five minutes to go we failed to deal with a set-piece missing three chances to clear our lines and the ball was forced home from close range. A point is a point, and the run of five defeats has been brought to an end. It is clear to me that this is a team with ability and when their desire to work as hard as the opposition kicks in we look dangerous. It was a shame that we could only do that for thirty minutes yesterday, but when we passed the ball with a tempo and started to press in groups we were the better side. 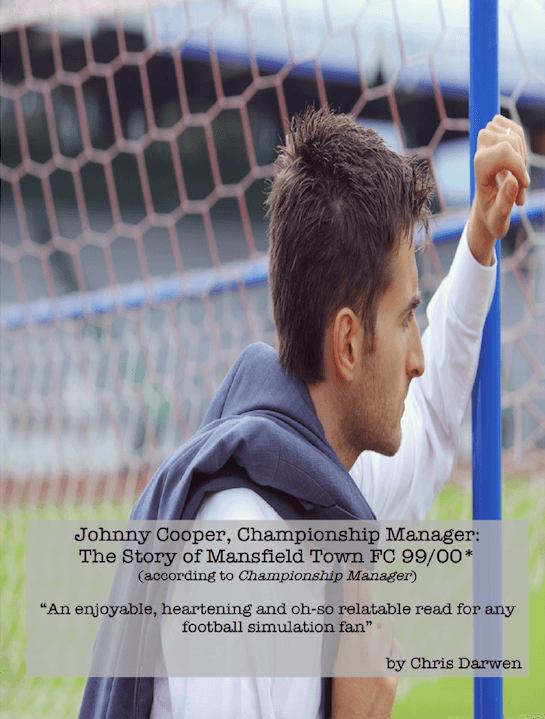 If the dream of a play-off place is to come true then 30 minutes of performance needs to become 95. So why am I telling you all this? It is simple, really. 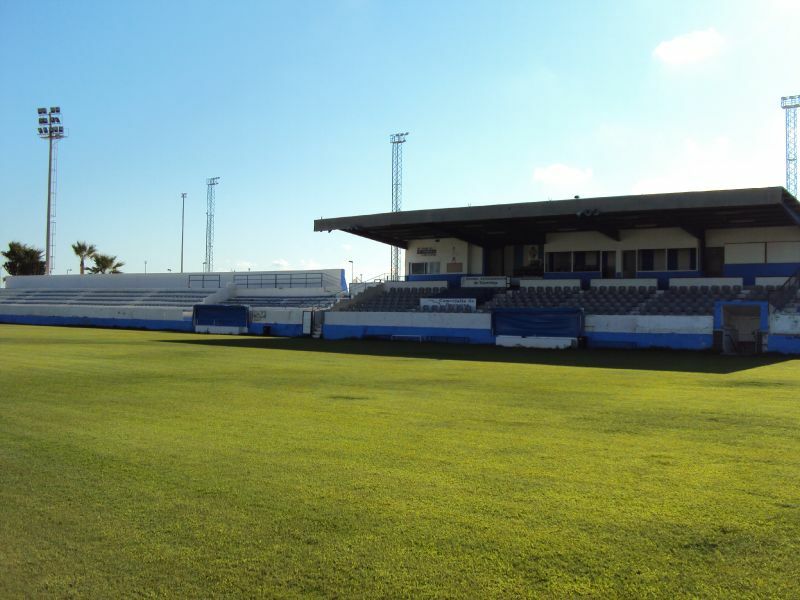 CD Torrevieja needs more members, shareholders if you like. 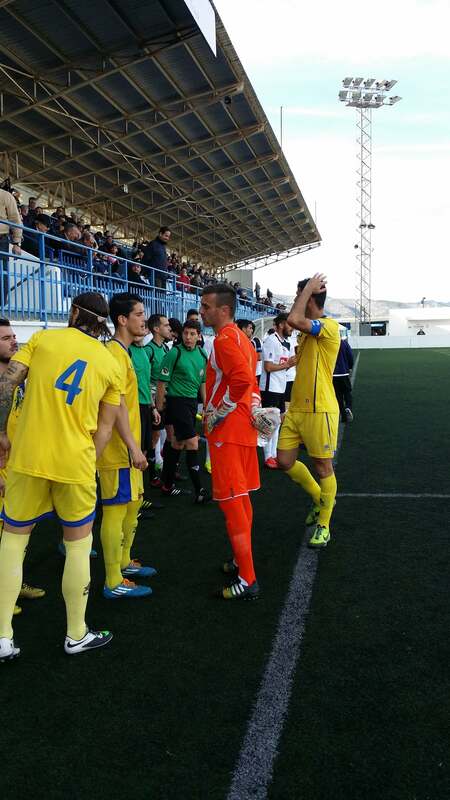 This is a beautiful club based in the Costa Blanca, one of the warmest and welcoming climates all year round on the planet. Now, I know many of you reading this will have bought memberships/shares in other clubs, so why not consider expanding your portfolios? Those of you in the FM community, well there is at least one fansite out there that is looking for a real club to partner with, get involved with and be a real part of. For everyone else, just imagine how cool it would be to tell your mates down the pub, gym, on Facebook, where ever that you have just become a member of a Spanish football club and that you are heading over there for the weekend very soon? Clubs like this need members. More members means more income to the club, which means the club survives. More members means more people care, and want to see the club do well. More members means that more people turn up and get behind the players. More members means increased exposure for the club, which could turn into more sponsorship and as I have said, ever penny counts at this level. I passionately urge you to consider becoming a member of this cracking little football club, be part of something really exciting. If you are a member elsewhere, one more won’t hurt right? If you are just reading this blog because you love football, I dare you to get involved because if you get half the fun I have had from being with Real Oviedo then you will have made the best small investment of your life. If you are an FM addict like me, how about becoming a member then downloading the FM database I have created for you and managing CD Torrevieja, the club you will part own, to La Liga? I am putting together what you actually get for becoming a member, other than a vote in our AGM. Trust me, it will be worth it. Sales pitch over, if you want to become a member then click here! I know the value of supporters. I completely agree Sandra, and one of the things I am doing in my new role is hitting the streets and bars and trying to find the 1000’s of Torrevieja fans that used to come to the games. Hopefully I can find some, and I would urge all the fans to try and get their friends excited about coming to the ground again. days and you cannot put heartfelt feelings into half interested people. However I wish you luck and hope for a good crowd to cheer along with me the next game. I am a season ticket holder and have been since 2005 with the exception of 2 seasons, and I agree with everything that has been said, but we’ve had others who have promised us this and that and who have fallen by the wayside after a couple of months. I hope that you will not be another one!